The Organic Agriculture Education Program provides curriculum support for agricultural schools across Ecuador and ensures that organic production methods are integrated into the curriculum. The Technical Enablement Program coordinates the donation of used computers for use in the classrooms of agricultural schools around Ecuador. Reaching Potentials supports special needs education around Ecuador. Since then, they have added yet another program, Project Flashlamp. In the rural farming communities of Ecuador where there is limited access to electricity, people use battery-powered flashlamps for lighting. Besides creating an economic burden for small family farmers, these expensive batteries can also become an environmental hazard when disposed of. Project Flashlamp provides farmers with solar-powered flashlights that are charged in the daytime and used at night. Since the batteries can be charged repeatedly, they reduce both the environmental impact of disposal and the financial impact to families. Pacari has three main product lines: raw chocolate, chocolate coated nibs and fruits, and single-origin chocolate bars. I wanted to see how the minimal processing of the raw chocolate bars affected the flavor, so I compared the 70% raw chocolate bar to one of similar cacao content: the Los Rios 72% Cacao bar. 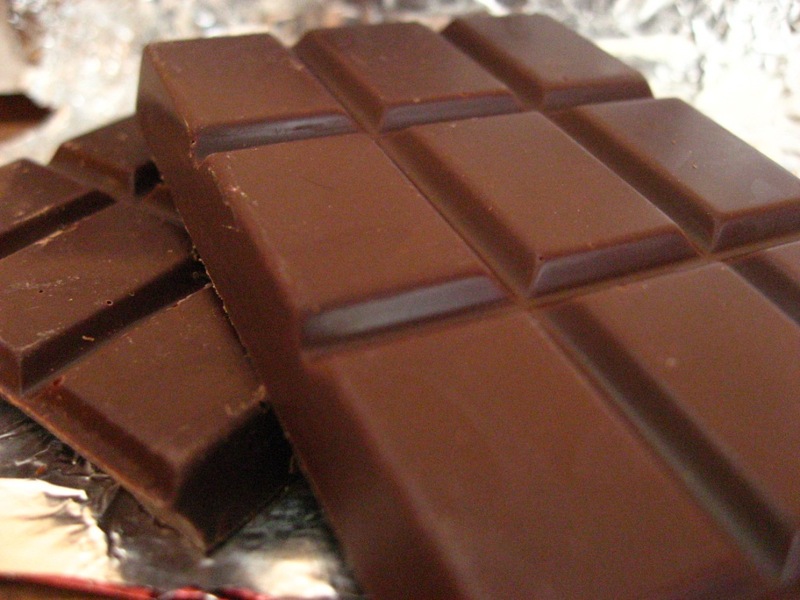 Both are organic chocolate, but the Raw Chocolate bar is minimally processed at low temperatures. Adherents to the raw food movement believe that raw foods or foods that are cooked at lower temperatures (115 F is often cited as a maximum) maintain more of thier nutritional value and are all around more healthy. I haven’t researched this topic and don’t have an opinion, but if you want to read more, please see this Wikipedia entry. Since the Los Rios bar uses cacao from the up river region of the Guayas river, specifically from Los Rios province, it qualifies as true Arriba Nacional cacao. Arriba Nacional not only has historical significance as a native cacao of Ecuador, but it is also sought-after for its combination of bold cocoa flavor with notes of tropical fruit and florals. Let’s see if it lives up to its name. WHAT: Pacari Ecuadorian Chocolate, Organic Raw Chocolate, 70% Cacao. USDA Certified Organic. 50g bar. Ingredients: cacao beans, evaporated cane juice, cocoa butter, sunflower lecithin. Dairy and soy free. 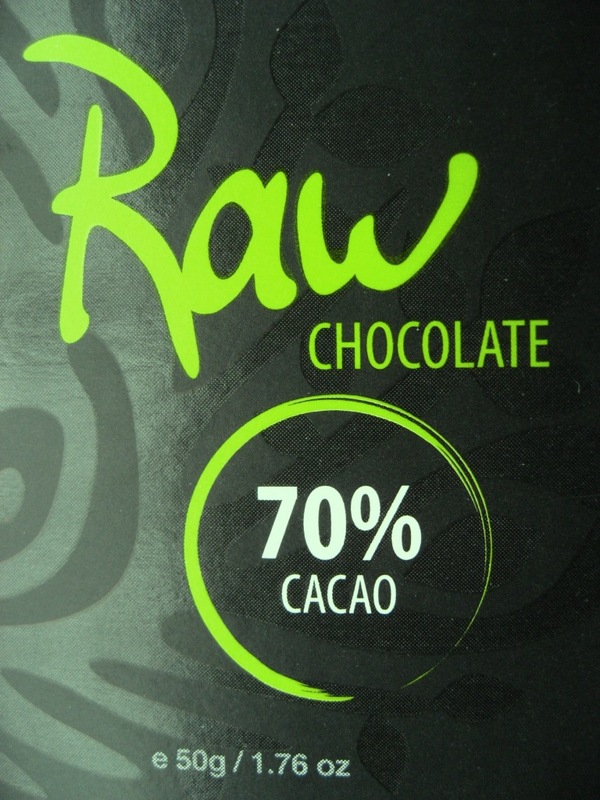 Where to buy Pacari Raw Organic Chocolate 70%. AROMA: Wow. A robust blast of cocoa, cantaloupe melon, hay, tobacco. WHAT: Pacari Ecuadorian Chocolate, Los Rios Organic Dark Chocolate, 72% Cacao. USDA Certified Organic. 50g bar. Ingredients: cacao beans, evaporated cane juice, cocoa butter, sunflower lecithin. Dairy and soy free. Where to buy Pacari Los Rios Organic Chocolate. AROMA: An intoxicating blend of honey, florals, fresh roses and cloves. INITIAL IMPRESSIONS: Mushrooms, blueberries, rhubarb, starts closed and then suddenly pops open with berries. MIDDLE TASTE: Super fruity with more balance and sweetness than the raw bar, cooked strawberry rhubarb sauce, berries, pepper, licorice, roses. FINISH: Pineapple ham, vanilla, mocha creme, creme brulee with berries, caramelized sugar, brown sugar, anise. Very long and sweet towards the end. TEXTURE: Melts more readily than the raw bar. Smooth. LAST BITE – The Raw bar is the closest thing I’ve found so far to the bright fruity notes that sing out from most of Taza’s bars. A bit less pine wood and sweetness than Taza, but the resemblance is astonishing given they are using different bean varieties and processes. Of course, Taza is a different experience all together with their rustic texture, but they do share an approach of minimal processing that is responsible for these bright notes of the raw native bean. Having said that, my impression is that the Pacari bars are a bit “underconched” meaning they didn’t spend long enough in the conche to remove the acidity that most European-style chocolates strive to avoid. On the other and, this is a matter of judgment for the chocolate maker and clearly Pacari has managed to preserve much of the bold fruit flavor of the original beans by not over processing (besides, last time I checked, Ecuador was not in Europe). I’d much rather a chocolate that’s a bit underconched than overconched since overconching results in tired and worn chocolate and like an overripe avocado, you get only a pale glimpse of what nature wanted the fruit to be. So, if this chocolate plays it safe in the conch, so be it — the result is so much more forward fruit in a vibrant, lively chocolate that I could eat any time. Overall, I found the Los Rios bar to be better balanced – presenting more sweetness along with fruit and delicate floral notes despite the slightly higher cacao content. I my mind, the Los Rios bar is the winner. But, if you like the idea of potentially getting more antioxidants from the Raw Chocolate Bar, it too is a fun and fascinating pick with super bold aroma; go for it. Disclosures: I paid for this chocolate myself. This entry was posted in Ecuador, Pacari Chocolate, Tastings and tagged 70% cacao, 70% cocoa, artisan chocolate, Bean-to-bar chocolate, Chocolate, dark chocolate, Ecuador, Fair-trade chocolate, gourmet chocolate, organic chocolate, Pacari, Pacari Chocolate, premium chocolate, Taza, Taza Chocolate. Bookmark the permalink. Great to hear that Europeans are enjoying this style of chocolate making. It shows me that there is some hope that people can expand their concept of what chocolate should taste like and look for some true variety of flavors and styles just like in the wine world. I had some more of the Los Rios 72% this week and it had a nice long finish. I would sum it up again this way: fresh and lively. Got some good blackberry notes and less citrus / fruit acid than last time perhaps because the bar had been at room temp for a few weeks. Interesting.